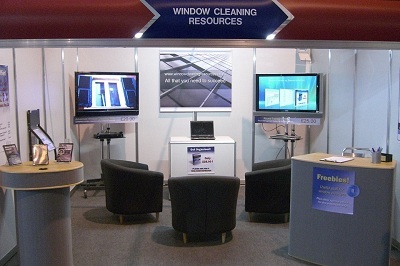 Window Cleaning Resources provide links and information regarding just about all aspects of the trade as well as some unique products designed to help window cleaners develop their business. The popularity of this internet based company has grown rapidly since it went live online in October 2006. …. The site also provides a directory of UK window cleaners with hundreds of cleaners listed according to the areas they cover. Recent years have seen the tightening of health and safety regulations. The discouragement of ladder use was initially a controversial issue which some feared would cripple the smaller window cleaning companies. Instead it has had an extremely positive effect on the trade. Full credit to them, the majority of window cleaners have embraced health and safety issues with open arms and adapted their work methods which has led to a revolutionising of the window cleaning industry. Gone are the days of the window cleaner in the flat cap with a shammy leather. Most UK window cleaners have taken to the more hi-tech and safer methods of pure water technology with the effective use of poles from ground level reaching up to heights of 20 metres. The bringing together of trade suppliers online by Window Cleaning Resources has provided fertile soil for new and existing companies to grow by enabling them to reach their target market of UK window cleaners. The site continues to provide a catalyst for future growth and development within the trade.